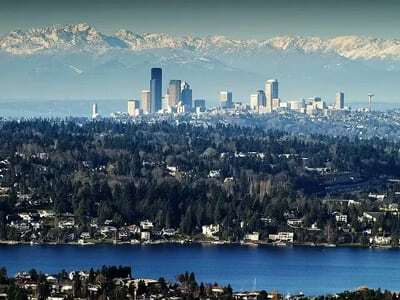 There been talk that the Puget Sound area could be coming into a slowdown in home sales but demand continues across the Seattle and Eastside area. A steady demand and the decline in available homes continues to drive up prices. Seattle-area homes are priced 7.6% higher for the year compared to 5.1% across the major cities in the index. This is a significant increase as larger markets such as San Francisco are up nearly 11%. This could help many of the migration of tech workers from the bay area as new companies develop and establish companies expand or relocate to the Seattle area. Many cloud-based companies or tech companies are finding that our prices in Seattle and either relocating their offices or expanding to a Seattle-based outpost. Companies such as Salesforce.com will be opening a newer and bigger office in Bellevue even though they’ve had an outpost in Seattle for five years. This could draw other Bay Area tech-based companies into the Seattle market, which not only increases our productivity and talent margin but draws more home buyers and renters into the area. For more information please contact Mary Pong. If you’d like any information on homes in a specific neighborhood or in up-and-coming neighborhoods, feel free to contact her for a no-obligation consultation.